Home / Collections / Blu Dot / dandy leather sofa 96"
High-backed and leggy beauty in search of willing participants for a relaxing and elegant seating encounter. Experience not required. Must be into tight backs and seats. 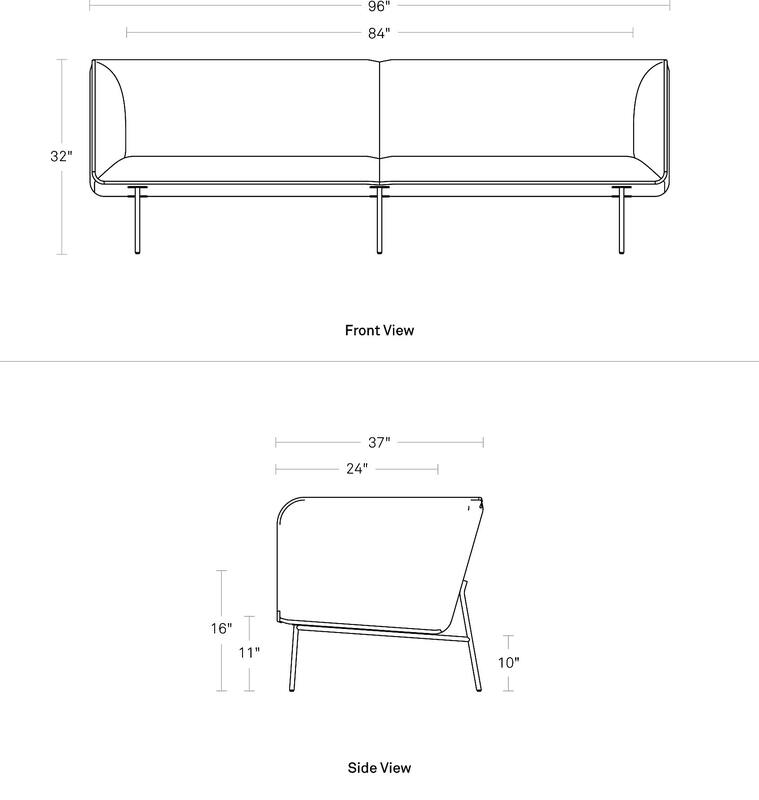 With a piped seam detail and tubular blackened steel legs. Now available in two sumptuous leather options. • Ink Leather: An aniline leather with a soft matte finish and velvety feel; Variation in the natural leather becomes more beautiful with use; Color variation is a signature to the authenticity of natural leather.